Nick Ford is the Executive Chef of Pizzeria sul Lago, and former Chef and Co-Owner of P.R.E.A.M., the much lauded pizzeria in SE Portland. 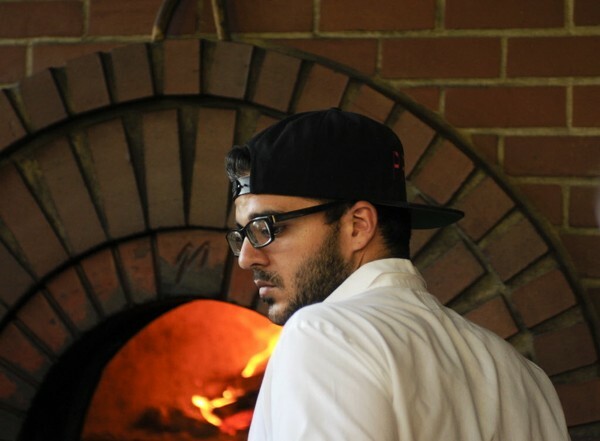 Ford’s culinary passions revolve around Neapolitan pizzas and handmade pastas. Born and raised in Western Massachusetts, Ford graduated from the French Culinary Institute (FCI) in New York City at 21 and immediately jumped into some of the best kitchens in the city including David Bouley's Michelin-rated Bouley, Fatty Crab, The Mondrian Soho, Ryu, esteemed restaurateur Danny Meyers’ Union Square Cafe, and at Chef Gabe Thomas and the Epicurean Management Group’s L’apicio. At the urging of a chef friend, Ford made leap to Portland, working at Chef Jason French’s Ned Ludd in NE Portland. After cultivating a deep love for pizzas, Ford convinced French to let him open a pop-up restaurant at Ned Ludd on Monday nights. And thus, P.R.E.A.M. was born. Working with Kurt Huffman’s ChefStable group, Ford made his pop-up dream a brick and mortar reality with P.R.E.A.M., the beloved and lauded hip hop inspired pizzeria located in the Ladd’s Addition neighborhood of SE Portland. During the construction phase, Ford staged in Iceland at Hverfisgata 12 and the Michelin-starred restaurant Dill. Ford’s music-meets-pizza concept P.R.E.A.M received recognition from The Oregonian, Portland Monthly and nationally in Food & Wine Magazine. At Pizzeria sul Lago, Ford brings an honest approach to Neapolitan style pizza, staying true to traditional roots while drawing great focus from the Pacific Northwest bounty. From the three day fermented dough, to farm fresh salads and vegetables, Ford embraces simplicity in homage to true Italian cooking.